Emerald: Doyin Okupe over Ruben Abati? Doyin Okupe over Ruben Abati? Dr. Doyin Okupe has been appointed as the Senior Special Assistant on Public Affairs to President Goodluck Jonathan. Principally, he will act as the liaison between the President and the Public. 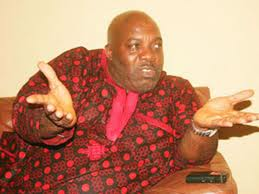 A chieftain of the ruling Peoples Democratic Party (PDP), Doyin Okupe was also the Special Adviser on Media to President Olusegun Obasanjo in 1999. What is confusing about this is what will become of Ruben Abati who is currently the President's Special Assistant on Media and Publicity! ?